"In St. Paul’s epistles to the Romans, the Galatians, and the Colossians we find many passages which declare that God has consummated all the divine services in Judaism, and that Christ was to be the end of the Law (Rom. 10:4). Christ was also to be the fulfillment of the Law and of time (Gal. 4:4), and the fulfillment of all things. Christ was to be all in all and to have all. Therefore he who takes hold of Him in faith will possess forgiveness of sin, the Law will be fulfilled for him, death and the devil will be conquered, and he will obtain the gift of eternal life. In this Man all things are concluded and fulfilled. 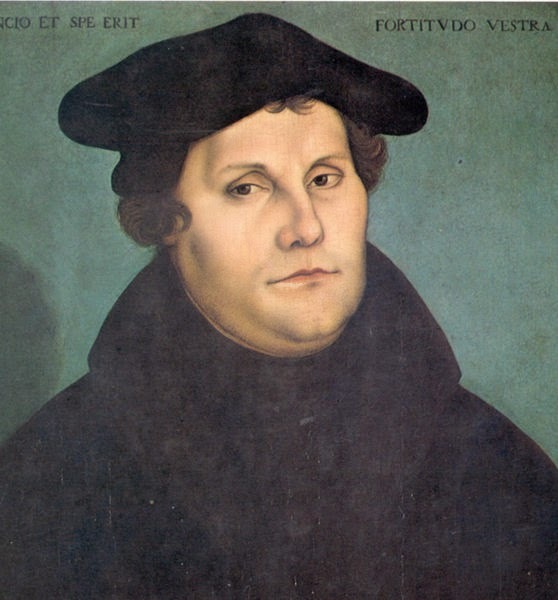 Luther, M. (1999). Luther's works, vol. 23: Sermons on the Gospel of St. John: Chapters 6-8 (J. J. Pelikan, H. C. Oswald & H. T. Lehmann, Ed.) (Jn 6:29). Saint Louis: Concordia Publishing House. Emphasis mine.